Apricot Cropped Cardigan is rated 4.0 out of 5 by 1. 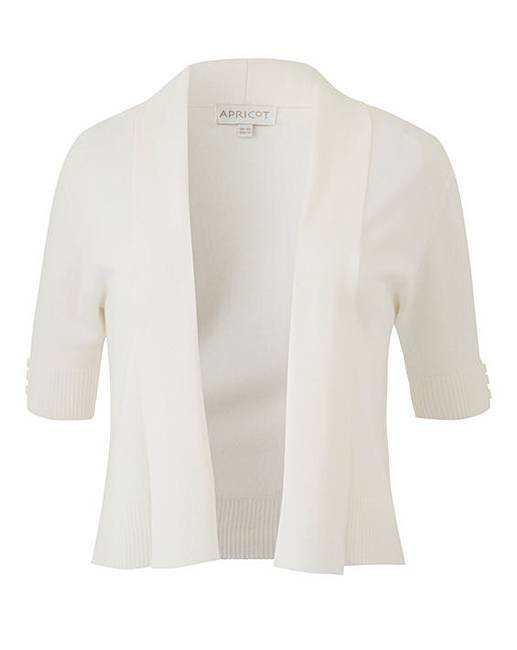 This cropped cardigan by Apricot is a must-have for your wardrobe and a staple piece for years to come. Slip it on over a basic T-shirt or glam it up with your favourite dress – either way, you'll love this easy-wearing piece. A staple item for years to come. Rated 4 out of 5 by Nina from Cute little thing Ideal for summer to wear with dresses i think i might buy another in black .